Geometric Greek Inspired “Vases” | Who Are You Calling Crafty? Thinking Day is right around the corner and our Girl Scout Troop picked Greece as our country this year. I am a huge fan of Greek Art and Architecture and really wanted to share this appreciation with my troop. I knew I wanted to do a project that involved “pottery” but the thought of anything breakable with 5-8 year olds scared me. 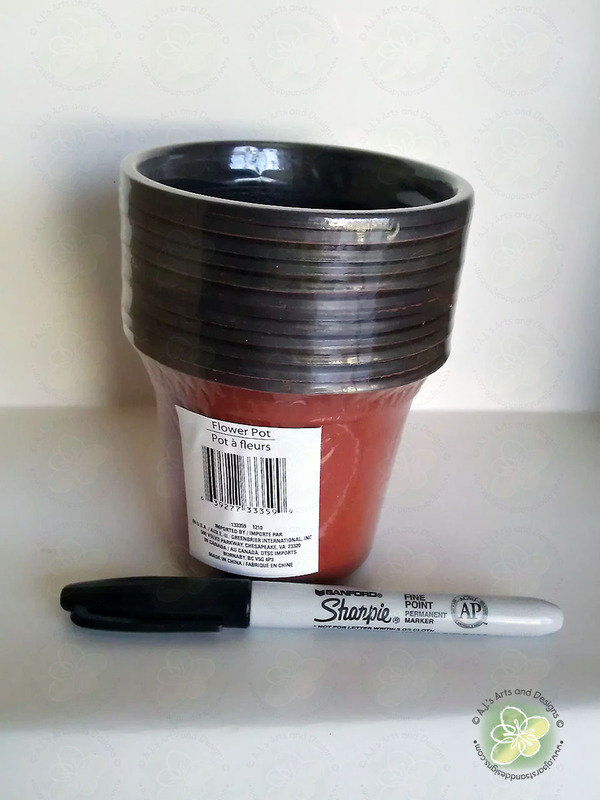 I visited the Dollar Tree and they had their spring stuff out and saw seed starter “pots” I knew immediately how I could do this project with my troop. We did put paper towels down and went over proper “marker usage” (not drawing on themselves or others). 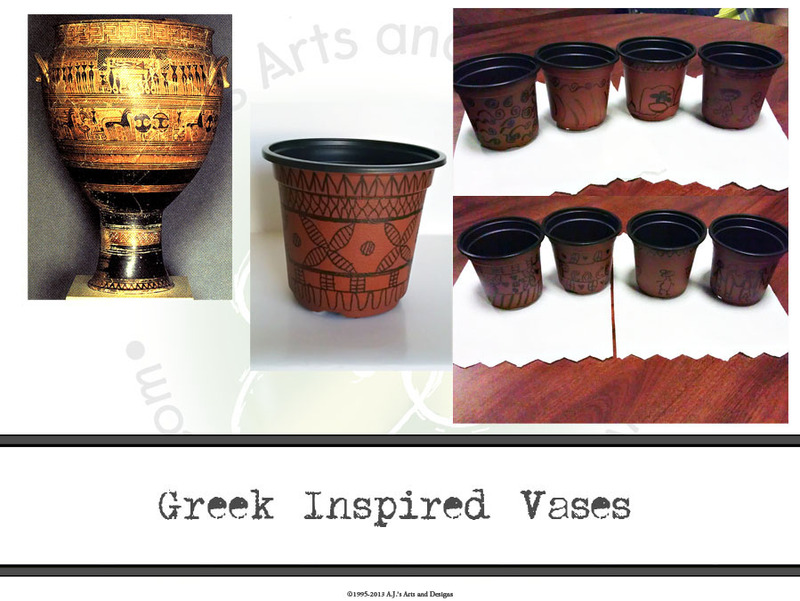 I also showed them examples of Greek Vases that were geometric vases and vases that depicted stories. I encouraged them to use their imagination and creativity to create a beautiful vase for all to enjoy. I handed them each one marker, one pot and let them get to work on their beautiful creations. I was told by several girls in my troop this was their favorite project so far and they also learned about a really cool country. These are a lot of fun. I would have loved making these as a little girl! Thank you, they loved them (the parents did too). I love this idea! I was a girl scout, and my leaders came up with great ideas like this!